BMJ 2010;340:c2912 - WHO and the PandemicFlu "Conspiracies"
that stood to gain from the guidance they were preparing. of the A/H1N1 pandemic as "conspiracy theories." Was it appropriate for WHO (specialized agency of the United Nations - UN) to take advice from experts who had declarable financial and research ties with pharmaceutical companies producing antivirals and influenza vaccines? Why was key WHO guidance authored by an influenza expert who had received payment for other work from Roche, manufacturers of oseltamivir, and GlaxoSmithKline, manufacturers of zanamivir? Why does the composition of the emergency committee from which Chan sought guidance remain a secret known only to those within WHO? FDA's advisory committee voted by 13 to 4 not to approve zanamivir on the grounds that it was no more effective than placebo when the patients were on other drugs such as paracetamol. He said that it didn't reduce symptoms even by a day. conflicts of interest have never been publicly disclosed by WHO, and WHO has dismissed inquiries into its handling of the A/H1N1 pandemic as "conspiracy theories." the advisory committee decided not to recommend zanamivir, the FDA's management reassigned the oseltamivir review to someone else. Dr Elashoff believes that the approval of zanamivir paved the way for oseltamivir, which was approved by the FDA later that year. "WHO never publishes individual DOIs [declaration of interest], except after consultation with the Office of the Director-General. Next week marks the first anniversary of the official declaration of the influenza A/H1N1 pandemic. "I have conferred with leading influenza experts, virologists, and public health officials. In line with procedures set out in the International Health Regulations, I have sought guidance and advice from an Emergency Committee established for this purpose. The world is now at the start of the 2009 influenza pandemic." It was the culmination of 10 years of pandemic preparedness planning for WHO - years of committee meetings with experts flown in from around the world and reams of draft documents offering guidance to governments. But one year on, governments that took advice from WHO are unwinding their vaccine contracts, and billions of dollars' worth of stockpiled oseltamivir (Tamiflu) and zanamivir (Relenza) - bought from health budgets already under tight constraints - lie unused in warehouses around the world. A joint investigation by the BMJ and the Bureau of Investigative Journalism has uncovered evidence that raises troubling questions about how WHO managed conflicts of interest among the scientists who advised its pandemic planning, and about the transparency of the science underlying its advice to governments. Was it appropriate for WHO to take advice from experts who had declarable financial and research ties with pharmaceutical companies producing antivirals and influenza vaccines? And why does the composition of the emergency committee from which Chan sought guidance remain a secret known only to those within WHO? We are left wondering whether major public health organizations are able to effectively manage the conflicts of interest that are inherent in medical science. Already WHO's handling of the pandemic has led to an unprecedented number of reviews and inquiries by organizations including the Council of Europe, European Parliament, and WHO itself, following allegations of industry influence. "WHO anticipated close scrutiny of its decisions, but we did not anticipate that we would be accused, by some European politicians, of having declared a fake pandemic on the advice of experts with ties to the pharmaceutical industry and something personal to gain from increased industry profits." The inquiry by British MP Paul Flynn for the Council of Europe Parliamentary Assembly - due to be published today - will be critical. It will say that decision making around the A/H1N1 crisis has been lacking in transparency. distortion of priorities of public health services all over Europe, waste of huge sums of public money, provocation of unjustified fear amongst Europeans, creation of health risks through vaccines and medications which might not have been sufficiently tested before being authorized in fast-track procedures, are all examples of these outcomes. These results need to be critically examined by public health authorities at all levels with a view to rebuilding public confidence in their decisions." The investigation by the BMJ/The Bureau reveals a system struggling to manage the inherent conflict between the pharmaceutical industry, WHO, and the global public health system, which all draw on the same pool of scientific experts. It is this lack of transparency over conflicts of interests - coupled with a documented changing of the definition of a pandemic and unanswered questions over the evidence base for therapeutic interventions1 - that has led to the emergence of these conspiracies. "Potential conflicts of interest are inherent in any relationship between a normative and health development agency, like WHO, and a profit-driven industry. Similar considerations apply when experts advising the Organization have professional links with pharmaceutical companies. Numerous safeguards are in place to manage possible conflicts of interest or their perception." Another factor that has fuelled the conspiracy theories is the manner in which risk has been communicated. No one disputes the difficulty of communicating an uncertain situation or the concept of risk in a pandemic situation. The routes to the Council of Europe's criticisms can be traced back to 1999, a pivotal year in the influenza world. In April that year WHO - spurred on by the 1997 chicken flu outbreak in Hong Kong - began to organize itself for a feared pandemic. It drew up a key document, Influenza Pandemic Plan: The Role of WHO and Guidelines for National and Regional Planning. "It is impossible to anticipate when a pandemic might occur. Should a true influenza pandemic virus again appear that behaved as in 1918, even taking into account the advances in medicine since then, unparalleled tolls of illness and death would be expected." "R Snacken, J Wood, L R Haaheim, A P Kendal, G J Ligthart, and D Lavanchy prepared this document for the World Health Organization (WHO), in collaboration with the European Scientific Working Group on Influenza (ESWI)." What this document does not disclose is that ESWI is funded entirely by Roche and other influenza drug manufacturers. Nor does it disclose that René Snacken and Daniel Lavanchy were participating in Roche sponsored events the previous year, according to marketing material seen by the BMJ/The Bureau. Dr Snacken was working for the Belgian ministry of public health when he wrote about studies involving neuraminidase inhibitors for a Roche promotional booklet. And Dr Lavanchy, meanwhile, was a WHO employee when he appeared at a Roche sponsored symposium in 1998. His role at that time was in the WHO Division of Viral Diseases. Dr Lavanchy has declined to comment. In 1999 other members of the European Scientific Working Group on Influenza included Professor Karl Nicholson of Leicester University, UK, and Professor Abe Osterhaus of Erasmus University in the Netherlands. These two scientists are also identified in Roche marketing material seen by this investigation which was produced between 1998 and 2000. Professor Osterhaus told the BMJ that he had always been transparent about any work he has done with industry. Professor Nicholson similarly has consistently declared his connections with pharmaceutical companies, for example, in papers published in journals such as the BMJ and Lancet. Both experts were also at that time engaged in a randomized controlled trial on oseltamivir supported by Roche. The influence of the European Scientific Working Group on Influenza would continue as the decade wore on and the calls for pandemic planning became more strident. "I can tell you that ESWI is working on that idea [that is, convincing politicians] quite intensively. We have contact with MEPs [members of the European Parliament] and with national politicians. But it is they who have to decide at the end of the day, and they will only act at the request of their constituencies. If the latter are not prompted, nothing will happen." "take measures to encourage the pharmaceutical industry to plan its vaccine/antivirals production capacity in advance" and also to "encourage and support research and development of pandemic vaccine" and to "develop a policy for antiviral stockpiling." "influenza vaccination and use of antivirals is beneficial and safe." "evidence based, palatable information"; and also "networking/exchange with other stakeholders (e.g., with industry in order to establish pandemic vaccine and antivirals contracts)." Barbara Mintzes, assistant professor in the Department of Pharmacology and Therapeutics at the University of British Columbia, is currently part of a group working with Health Action International and WHO developing model curricula for medical and pharmaceutical students on drug promotion and interactions with the industry, including conflicts of interest. She thinks that caution is advised when working with medical bodies of this sort. "It is legitimate for WHO to work with industry at times. But I would have concerns about involvement with a group that looks like it is for independent academics that is actually mainly industry funded," she told the BMJ/The Bureau, adding "the Institute of Medicine has raised concerns about the need to have a firewall with medical groups. To me this does not sound like an independent group, as it is mainly funded by manufacturers." She also thinks that there is a difference between the conflict of interest in having a clinical trial funded by a company and the conflict of interest in being involved in marketing a drug - for example, on a paid speaker's bureau or in marketing material. "Some academic medical departments, for example Stanford University, have banned staff from being involved in marketing or being on a paid speakers bureau," she said. The presence of leading influenza scientists at promotional events for oseltamivir reflected not just the concern of an impending pandemic, but the excitement over the potential of a new class of drugs - neuraminidase inhibitors - to offer treatment and protection against seasonal influenza. The two drugs would battle it out over the coming years, with oseltamivir - aided by its oral administration - trumping its rival in global sales as the decade wore on. However, he also warned that antivirals should not be seen as a replacement for vaccinations. "Close collaboration and consultation between, on the one hand, companies marketing influenza vaccines and, on the other, those marketing antivirals will therefore be absolutely essential. It is important that a clear and uniform message indicating the complementary roles of vaccines and antivirals is delivered." That article appeared in the European Scientific Working Group on Influenza's bulletin of April 1999; Professor Osterhaus signs off with the affiliation of WHO National Influenza Centre Rotterdam, The Netherlands. Other experts soon followed suit - recommending the role neuraminidase inhibitors could play in any future pandemic - in both the academic literature and in the general media. While the excitement over these drugs fuelled scientific symposiums, the US Food and Drug Administration (FDA) was less than convinced. The BMJ/The Bureau has since spoken to people from within the American and European drug regulators, the FDA and the European Medicines Agency (EMEA), who said that both regulators struggled with the paucity of the data presented to them for zanamivir and oseltamivir, respectively, during the licensing process. Michael Elashoff, a former employee of the FDA, was the statistician working on the zanamivir account. He told the BMJ how the FDA advisory committee initially rejected zanamivir because the drug lacked efficacy. After Dr Elashoff's review (he had access to individual patient data and summary study reports) the FDA's advisory committee voted by 13 to 4 not to approve zanamivir on the grounds that it was no more effective than placebo when the patients were on other drugs such as paracetamol. He said that it didn't reduce symptoms even by a day. "When I was reviewing the data, I tried to replicate the analyses in their summary study reports. The issue was not of data quality, but sensitivity analyses showed even less efficacy," he said. "The safety analysis showed there were safety concerns, but the focus was on if Glaxo had demonstrated efficacy." Dr Elashoff's view was that zanamivir was no better than placebo - and it had side effects. And when the FDA medical reviewer made a presentation, her conclusion was that it could either be approved or not approved. It was a fairly borderline drug. There were influenza experts on the FDA's advisory committee and much of the discussion hinged on why a drug that looked so promising in earlier studies wasn't working in the largest trials in the US. One hypothesis was that people in the US were taking other drugs for symptomatic relief that masked any effect of zanamivir. So zanamivir might have no impact on symptoms over and above the baseline medications that people take when they have influenza. Two other trials - one in Europe and one in Australia - showed a bit more promise. But there was a very low rate of people taking other medications. "So in the context of not being allowed to take anything for symptomatic relief, there might be some effect of Relenza. But in the context of a typical flu, where you have to take other things to manage your symptoms, you wouldn't notice any effect of Relenza over and above those other things," Dr Elashoff said. The advisory committee recommended that the drug should not be approved. Nevertheless, FDA management decided to overturn the committee's recommendation. "They would feel better if there was something on the market in case of a pandemic. It wasn't a scientific decision," Dr Elashoff said. While Dr Elashoff was working on the zanamivir review, he was assigned the oseltamivir application. But when the review and the advisory committee decided not to recommend zanamivir, the FDA's management reassigned the oseltamivir review to someone else. Dr Elashoff believes that the approval of zanamivir paved the way for oseltamivir, which was approved by the FDA later that year. In Europe the EMEA was similarly troubled by the evidence for oseltamivir. By early 2002 Roche had sought a European Union-wide licence from the EMEA. It was a lengthy process, taking three meetings of the Committee for Medicinal Products for Human Use as well as expert panels, according to one of the two rapporteurs, Pekka Kurki of the Finnish Medicines Agency. "We discussed the same issues that are still discussed today: does it show clinically significant benefits in treatment and prophylaxis of flu and what was the magnitude of the benefits presented in the RCTs? Our assessment and Cochrane's in 2009 are very similar with regard to the effect size in RCTs. The data show that the effects of Tamiflu were clear but not very impressive. "What was unclear and is still unclear is what is the impact of Tamiflu on serious complications. Circulating influenza was very mild when Tamiflu was developed and therefore it is very difficult to say anything about serious complications. The data did not clearly show an effect on serious complications - it was not demonstrated by the RCTs." In documents obtained under the freedom of information legislation, two of the experts who provided opinions during the EMEA licensing process have also featured in Roche marketing material: Annike Linde and Rene Snacken. In Dr Snacken's EMEA presentation dated 18 February 2002, he discussed the need for chemoprophylaxis and called for the use of oseltamivir during a pandemic. He made his presentation as a representative of the Belgian Ministry of Public Health. At the time Dr Snacken was also "liaison officer" for the European Scientific Working Group on Influenza. He also played a key role in the Belgian government during its pandemic planning, and he later became a senior expert at the Preparedness and Response Unit, European Centre for Disease Prevention and Control. We do not know what, if anything, he declared to the EMEA about his relationship with Roche. Annike Linde has confirmed in an email that she has had connections with Roche over a number of years. She made a presentation to the EMEA on "influenza surveillance" in her capacity as a representative of the Swedish Institute for Infectious Disease. Again, it is not clear what, if anything, she declared to the EMEA concerning her previous relationship with Roche. Dr Linde, now the Swedish state epidemiologist, has told the BMJ/The Bureau that she received payments from Roche International in respect of various pieces of work she did for the company until 2002. She has subsequently given occasional lectures for Roche Sweden. All money she has received from Roche was given, Dr Linde says, to the Swedish Institute for Infectious Disease Control. We asked the scientists whether they declared their relationship with Roche at the time to the EMEA. Neither has answered that question entirely satisfactorily. Dr Snacken has not replied to repeated emails posing this question. "We contribute with our expertise to the regulatory agencies when asked. When we do so, a declaration of interest, where e.g. participation at advisory meetings at Roche, is given and evaluated by the regulatory agency." The BMJ/The Bureau requested Linde and Snacken's declaration of interest statements for the 2002 meeting from the EMEA under the freedom of information act. The EMEA was unable to provide statements for those particular people at that time. In October 2002 WHO convened a meeting of influenza experts at its Geneva headquarters. Their purpose was to develop WHO's guidelines for the use of vaccines and antivirals during an influenza pandemic. Included at this meeting were representatives from Roche and Aventis Pasteur and three experts who had lent their name to oseltamivir's marketing material (Professors Karl Nicholson, Ab Osterhaus, and Fred Hayden). Two years later the WHO published a key report from that meeting, WHO Guidelines on the Use of Vaccines and Antivirals during Influenza Pandemics 2004. The specific guidance on antivirals, Considerations for the Use of Antivirals During an Influenza Pandemic, was written by Fred Hayden. Professor Hayden has confirmed to the BMJ/The Bureau in an email that he was being paid by Roche for lectures and consultancy work for the company at the time the guidance was produced and published. He also told us in an email that he had received payments from GlaxoSmithKline for consultancy and lecturing until 2002. "DOI [declaration of interest] forms were filled out for the 2002 consultation." "Based on their pandemic response goals and resources, countries should consider developing plans for ensuring the availability of antivirals. Countries that are considering the use of antivirals as part of their pandemic response will need to stockpile in advance, given that current supplies are very limited." Many countries around the world would adopt this guidance. Our investigation has also identified relevant and declarable interests relating to the two other named authors of annexes to WHO's 2004 guidelines. Arnold Monto was the author of the annex dealing with vaccine usage in pandemics. No conflict of interest statement was included in the annex he wrote for WHO. "Conflict of Interest forms are requested before participation in any WHO meeting". Professor Karl Nicholson is the author of the third annex, Pandemic Influenza. According to declarations made by Professor Nicholson in the BMJ16and Lancet in 2003,17 he had received travel sponsorship and honorariums from GlaxoSmithKline and Roche for consultancy work and speaking at international respiratory and infectious diseases symposiums. Before writing the annex, he had also been paid and declared ad hoc consultancy fees by Wyeth, Chiron, and Berna Biotech. Even though the previous year these declarations had been openly made in the Lancet and the BMJ, no conflict of interest statement was included in the annex he wrote for WHO. Professor Nicholson told the BMJ/The Bureau that he last had "financial relations" with Roche in 2001. "The WHO does require attendees of meetings, such as those held in 2002 and 2004, to complete declarations of interest." WHO itself did not publicly disclose any of these conflicts of interest when it published the 2004 guidance. It is not known whether information about these conflicts of interest was relayed privately to governments around the world when they were considering the advice contained in the guidelines. The year before WHO issued the 2004 guidance, it published a set of rules on how WHO guidelines should be developed and how any conflicts of interest should be handled. This guidance included recommendations that people who had a conflict of interest should not take part in the discussion or the piece of work affected by that interest or, in certain circumstances, that the person with the conflict should not participate in the relevant discussion or work at all. The BMJ/The Bureau has asked WHO for the conflict of interest declarations for the Geneva 2002 meeting and those related to the guidance document itself. WHO told us that the query went directly up to Margaret Chan's office. "WHO never publishes individual DOIs [declaration of interest], except after consultation with the Office of the Director-General. In this case, we put in a request on your behalf but it was not granted. In more recent years, many WHO committees have published summaries of relevant interests with their meeting reports." "is very committed personally to transparency." Yet her office has turned down repeated requests for declaration of interest statements and declines to comment on the allegations that authors of the guidelines had declarable interests. "I strongly support transparency in declarations of interest, in part because this allows those reading documents, particularly ones authored by specific individuals (e.g., Annex 5) [the part he wrote], to make their own judgments about the possible relevance of any potential conflicts." While experts need to work with industry to develop the best possible drugs for illnesses, questions remain about what level of involvement experts with industry ties should have in the formulation of public health policy decisions and guidelines. "The WHO and decision makers must be informed of ongoing developments and research findings to ensure that they are as up to date as possible. Some of the most relevant expertise and information are held by companies or individuals with conflicts of interest. I understand the view that experts with conflicts of interest should not advise governments or organizations such as the WHO. But to exclude such people from discussions could deprive WHO and decision makers of important new information." Barbara Mintzes is unequivocal about what role they should play. "No one should be on a committee developing guidelines if they have links to companies that either produce a product - vaccine or drug - or a medical device or test for a disease. It would be preferable that there are no financial ties when it comes to making big decisions on public health - for example, stockpiling a drug - and that includes if they have a currently funded clinical trial," she said. "Ideally, what you want are independent experts who are in the public sector to provide expertise on drugs and vaccines. But they can be hard to find. One solution is consult with the experts who are involved in industry, but not put them on any decision making committee. You need a firewall," she added. "Sometimes publication of conflict of interests is enough - for example with a journal. But if you are giving expert judgment to influence policy, revealing is not enough," he told the BMJ, referring to the Institute of Medicine's policy. WHO also says that it takes conflicts of interests seriously and has the mechanisms in place to deal with them. But what action does it take when a scientist declares a conflict of interest, and when does it judge a scientist to be too conflicted to play a leading role in the formulation of global health policy? Since WHO has not provided us with an answer to this question, we are left to guess. As it stands, this situation is the worst possible outcome for WHO, according to Professor Chris Del Mar, a Cochrane Review author and expert on WHO's Strategic Advisory Group of Experts on Immunization group. "If it proves to be the case that authors of WHO guidance which promoted the use of certain drugs were being paid at the same time by the makers of those drugs for other work they were doing for these companies that is reprehensible and should be condemned in the strongest possible terms." "Antivirals will initially be the principal medical intervention in a pandemic situation and Roche is working as a responsible partner with governments to assist in their pandemic planning." The source reference for this is the WHO Global Influenza Preparedness Plan. Throughout the following years, WHO would appear to have been inconsistent in how it treated conflicts of interest. Updated pandemic plans would continue to be prepared by experts who openly had work funded and acted as consultants to manufacturers of vaccines and antivirals. WHO produced its global influenza preparedness plan in 2005, and in 2006 it constituted an interim Influenza Pandemic Task Force. No public declarations of interest have been made and to date no details have been provided by WHO in response to our requests. WHO's stance that it does not publish declarations of interest from its experts is far from consistent. It is undermined, for example, by the position WHO adopts in relation to the Strategic Advisory Group of Experts on Immunization, its standing vaccine advisory body. Here, contrary to its approach to pandemic planning advisers, WHO does publish summaries of declarations of interest. These seeming inconsistencies in WHO's approach to transparency and its handling of conflicts of interest extend into the workings of the Emergency Committee formed last year to advise the director general on the pandemic. The identities of its 16 members are unknown outside WHO. This secret committee has guided WHO pandemic policy since then - including deciding when to judge that the pandemic is over. "Our general principle is we want to protect the committee from outside influences." The committee advised the WHO director general on phase changes as well as temporary recommendations. 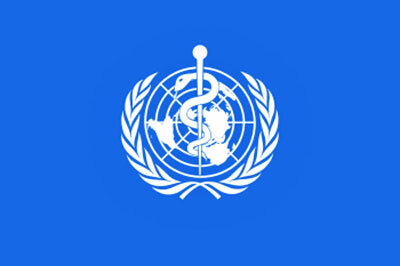 According to WHO, When the Emergency Committee met to discuss a possible move to a declaration of a pandemic, the meeting additionally included members who represented Australia, Canada, Chile, Japan, Mexico, Spain, the UK, and the US, eight countries that experienced widespread outbreaks at the time. These national representatives were present to ensure full consideration of the views and possible reservations of the countries expected to bear the initial brunt of economic and social repercussions. WHO says all members of the Emergency Committee sign a confidentiality agreement, provide a declaration of interests, and agree to give their consultative time freely, without compensation. However, only one member of the committee has been publicly named: Professor John MacKenzie, who chairs it. This is a troubling stance: it suggests that WHO considers other advisory groups whose members are not anonymous - such as the Strategic Advisory Group of Experts on Immunization - to be potentially subject to outside influences, and it allows no scrutiny of the scientists selected to advise WHO and global governments on a major public health emergency. Under the International Health Regulations framework, the membership of the Emergency Committee is drawn from a roster of about 160 experts covering a range of public health areas. This framework provides guidelines about how WHO deals with acute public health risks. The BMJ/The Bureau has identified approximately 15 scientists from the International Health Regulations roster with influenza expertise and has emailed them to ask if they were on the Emergency Committee. Under the framework at least some of these scientists are members of the Emergency Committee. Yet because of the confidentiality agreements they have signed, these scientists cannot acknowledge their membership of the committee, putting them in an invidious position. David Salisbury, chair of WHO's Strategic Advisory Group of Experts on Immunization (SAGE) committee at the time of the pandemic and a member of the International Health Regulations, says the secrecy has caused problems for his group. "It certainly caused problems for SAGE. Since all of the details of SAGE are in the public domain, there was a perception that it had been SAGE that had given advice about the changing of definitions or the pandemic levels - when we had not done so. SAGE members came in for unfair personal abuse by journalists," he told the BMJ/The Bureau. "Given the importance of the advice, the transparency of the source of the advice was important. I believe it is necessary to keep confidential the source of advice if revealing details might put individuals at risk, for example when bioterrorism is being discussed. This does not seem to be the case for pandemic flu," he added. The secrecy of the committee is also fuelling conspiracy theories, particularly around the activation of dormant pandemic vaccine contracts. A key question will be whether the pharmaceutical companies, which had invested around $4bn (£2.8bn, 3.3bn) in developing the swine flu vaccine, had supporters inside the emergency committee, who then put pressure on WHO to declare a pandemic. It was the declaring of the pandemic that triggered the contracts. Last year, according to figures made public in the US by GlaxoSmithKline, Professor Monto received $3000 speakers fees from the company in the period between the second quarter and the last quarter of 2009. "have nothing concerning conflict of interest with private companies". Dr John Wood works for the UK National Institute for Biological Standards and Control (NIBSC). Dr Wood, like Dr Tashiro, has no personal conflict of interests but he told the BMJ/The Bureau that as part of its statutory role in developing standards for measurement of biological medicines to ensure accurate dosing and carrying out independent control testing to assure their safety and efficacy, the institute must work closely with the pharmaceutical industry. This is made clear on their website. "I undertake various advisory roles to WHO. Declaration of interest statements are prepared before undertaking such roles. The HPA Centre for Infection, as part of its role in national infectious disease surveillance, provision of specialist and reference microbiology and vaccine efficacy monitoring, works closely with vaccine manufacturers and biotechnology companies." WHO's own review into the operation of the International Health Regulations and WHO's handling of the pandemic is now being conducted by Harvey Feinberg, president of the US Institute of Medicine, and will report its findings next year. Dr Chan and Professor Feinberg have both made clear the need for a thorough investigation. But questions are already arising about how independent the review will turn out to be. According to the International Health Regulations list in our possession, some 13 of the 29 members of the review panel are members of the International Health Regulations itself and one is the chair of the Emergency Committee. To critics that might suggest a somewhat incestuous approach. Professor Mintzes does not agree with WHO's explanation that secrecy was needed to protect against the influence of outside interest on decision making. "I can't understand why the WHO kept this secret. It should be public in terms of accountability like the expert advisory committees. If the rationale of secret membership is not to be unduly influenced, there are other ways of dealing with this through strong conflict of interest provisions," she said. She also believes that the very nature of allowing a trigger point for vaccine contracts opens the system up unnecessarily to exploitation. "It seems a problem that this declaration might trigger contracts to be realized. There should be safeguards in place to make sure those with an interest in vaccine manufacturers can't exploit the situation. The WHO will have to look long and hard at this in future," she said. The number of victims of H1N1 fell far short of even the more conservative predictions by the WHO. It could, of course, have been far worse. Planning for the worst while hoping for the best remains a sensible approach. But our investigation has revealed damaging issues. If these are not addressed, H1N1 may yet claim its biggest victim - the credibility of the WHO and the trust in the global public health system. Cite this as origin: BMJ 2010;340:c2912 - WHO and the PandemicFlu "Conspiracies"
US Food and Drug Administration. FDA approved drugs for influenza. www.fda.gov/drugs/drugsafety/informationbydrugclass/ucm100228.htm#ApprovedDrugs. Return to Virus H1N1 - Unintentional Contamination or Bioterrorism?